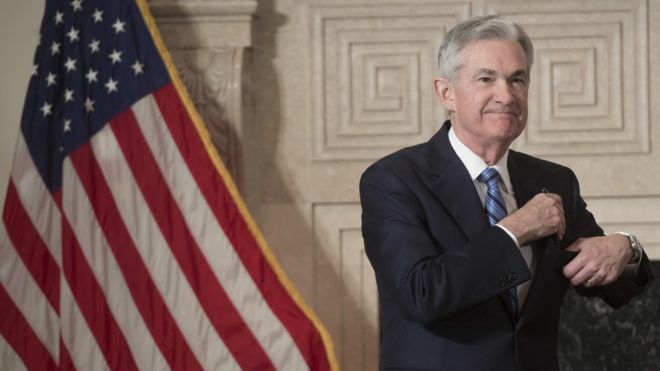 The US Federal Reserve has voted to raise the target for its benchmark interest rate by 0.25%, citing solid economic expansion and job gains. The widely-anticipated decision will lift the target for the central bank's benchmark rate to 1.75%-2%, the highest level since 2008. It is the seventh time the bank has raised rates since 2015. A majority of Fed officials also said they expect two more rate rises this year, more than previously forecast. The Fed announced the rate rise at the close of a two-day meeting in Washington. The decision to raise rates comes as the US unemployment rate hovers at 3.8% - the lowest rate in nearly two decades - and inflation shows signs of starting to pick up. Fed policymakers predict the US economy will grow 2.8% this year, while unemployment falls to 3.6%. They expect the core inflation rate to rise to roughly 2% this year. 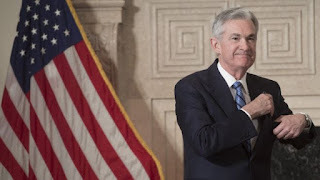 Federal Reserve Chair Jerome "Jay" Powell said job gains are boosting income and confidence, while foreign expansion and tax cuts support additional growth. "The main takeaway is that the economy is doing well," he said.